Results from a new study conducted at the Institute of Cancer Research, London, suggests cancer cells that remain in the body after treatment, utilize the immune system of the body to wake themselves up and boost their growth. Cancer cells can lay dormant in the body long after treatment, then turn deadly after a number of years. The aim of the study was to understand this process. It was found that the immune system becomes unable to keep the cancer cells under control, leading to a relapse. According to the study, immunotherapy could be utilized for the effective prevention of the recurrence by putting the immune response of the body back on track. In order to analyze the nature and behavior of the cancer cells before initial treatment, after treatment and during relapse, the researchers examined the immune responses in mice. Generally, in response to infection or trauma, the immune cells release signals to trigger inflammation. In some situations, this might help the immune system in killing the cancer cells. However, the study indicated that the cancer cells which survived the treatment undermined these signals, resulting in their aggressive growth during recurrence. Also, it was found that immunotherapies targeting this response might either prevent or delay cancer relapse in mice; this is expected to be effective in patients at risk of recurrence. The findings of the study indicated that TNF-alpha — a chemical signal — transforms itself from an anti-tumor agent to a signal that promotes the relapse of cancer. 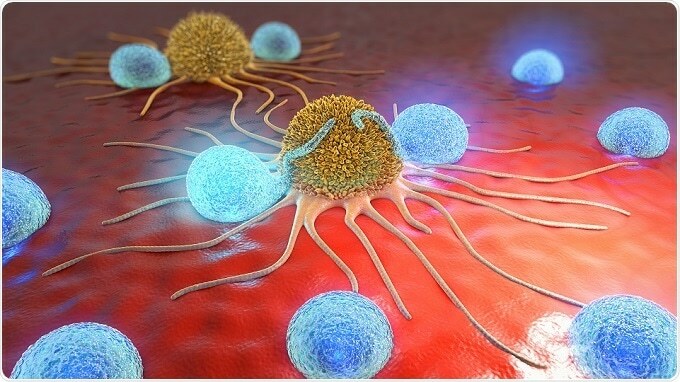 The functions of the natural killer immune cells will also be suppressed due to the influence of these resistant cells, resulting in the uninterrupted growth of the relapsing cancer cells. Also, it was found that PD-L1 which is present in high levels on the surface of these resistant cancer cells interacts with PD-1 on immune cells named as T cells asking them not to attack. For extremely successful immune checkpoint inhibitor drugs, PD-1 is the target and it was proved that these treatments are capable of delaying or preventing relapse in mice. According to him, the study aids in explaining why immune system can be effective against cancer cells in some cases and not in others. Understanding the complete mechanism behind this behavior of the immune system can help in developing novel treatment options to prevent cancer relapse, he added.